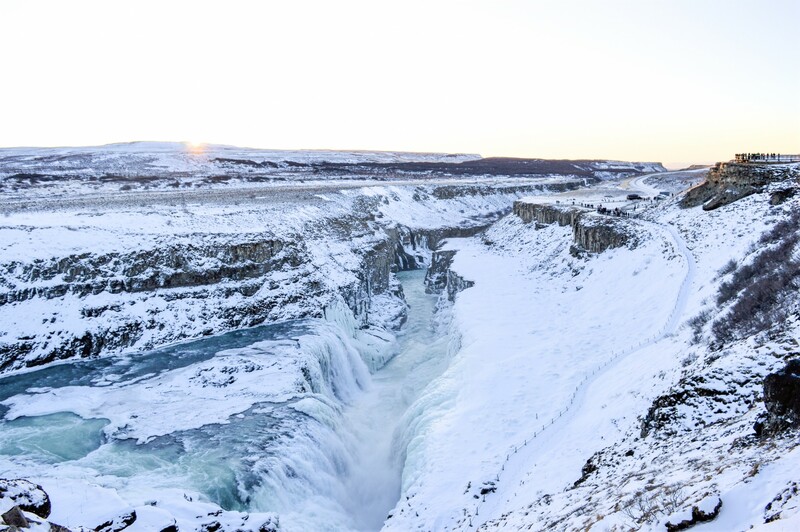 The Golden Circle in Iceland is a popular tourist route covering around 200 miles. 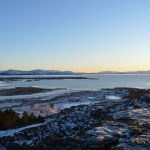 As the name suggests, it’s a circular route that starts from Reykjavik in south west Iceland that takes you inland around 70 miles. 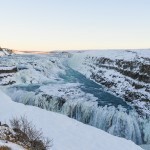 Whilst in Iceland this year Sarah and I booked ourselves onto one of the Golden Circle Tours (via Tui) to experience first hand everything that this popular route had to offer. With the route being so long our coach pickup started at 08:30 just around the corner from the Skuggi Hotel where we had been staying. 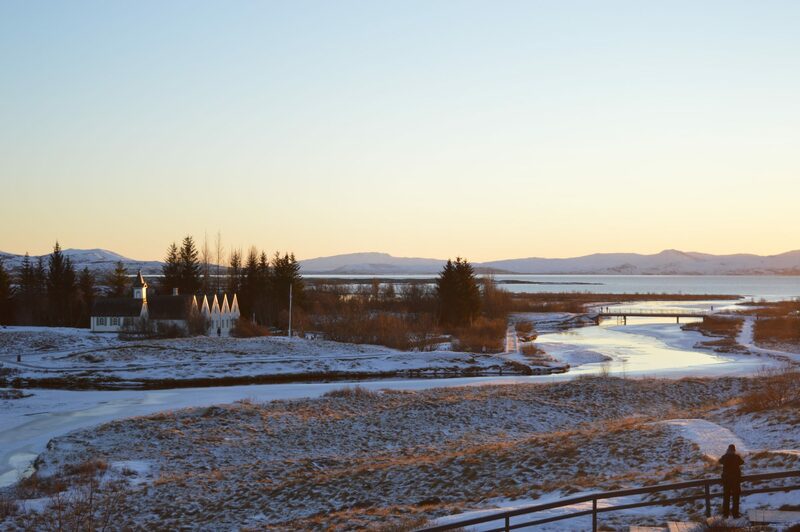 Visiting Iceland in December means there’s only around 3-4 hours of sunlight per day so at this time of the morning it was pitch black (and freezing cold!) and stayed that way until around 10:00 – really weird! As you’ll notice in our photos the light was poor throughout the day. The coach turned up promptly at 08:30 and we were then on our way around 09:00 once everyone had been checked in. The first stopping point of the day was at Haukadalur which is an incredibly active area of geothermal activity. The coach drop off is just across the road from the active area so it’s only a few seconds walk to reach it all. 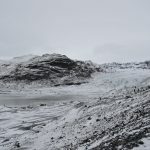 As you walk through the area (along the very icy paths) there is geothermal activity in every direction, it’s really impressive. There’s a lot to see here so we explored each and every corner! 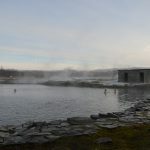 You can see hot pools of water steaming away, bubbling mud pools, steam rising out of the ground or touch the warm water that is flowing through the site in a small stream. The main attractions here are of course the geysers. 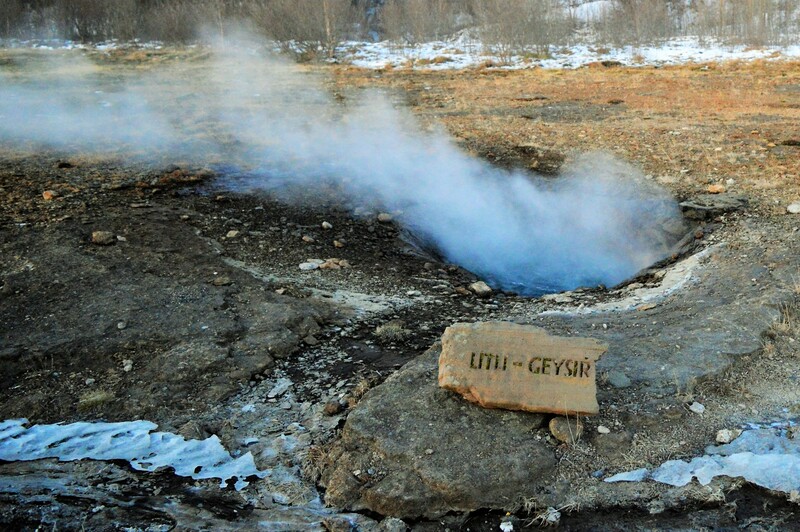 Litli Geysir is exactly as the name suggests – a little geyser! This one doesn’t spout water but instead just bubbles away to itself providing an interesting attraction to everyone passing it by. 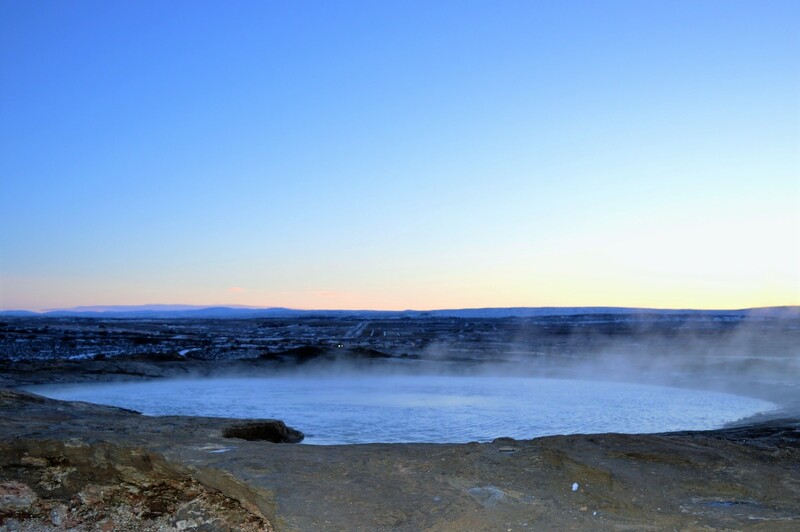 “Geysir” is one of the first known geysers and as a result has had its name given to all geysers around the world. It used to be quite active but hasn’t spouted water for a long time now, instead just bubbling away on the surface. Despite not spouting water the geyser is nonetheless impressive. 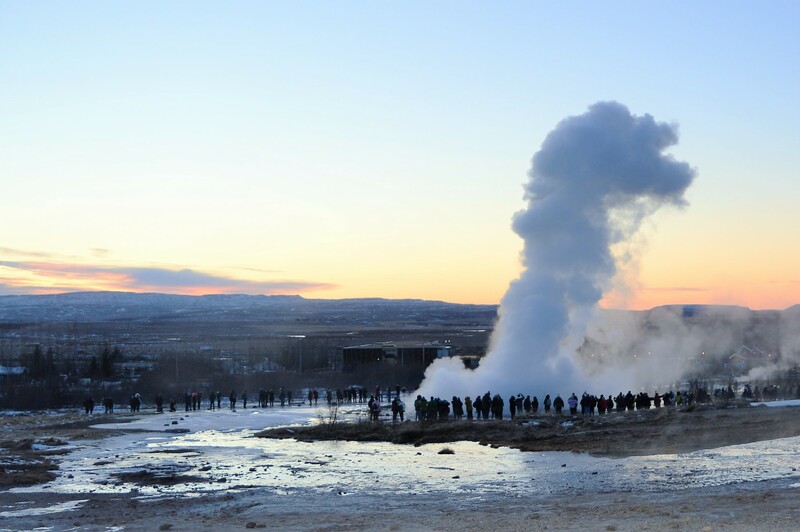 At the far end of the site you eventually reach undoubtedly the main attraction at Haukadalur which is Strokkur – an incredibly active geyser that spouts water some 30m into the air every 5-10 minutes! During our visit we were lucky enough to see it erupt twice within a matter of seconds. 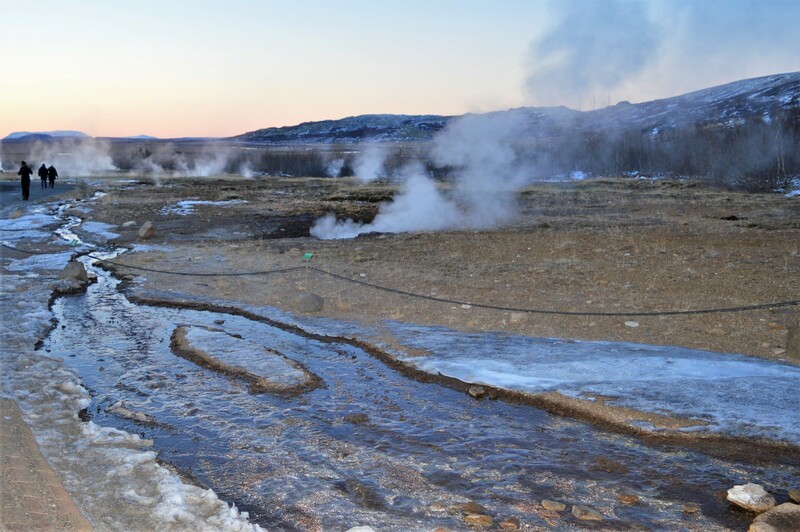 With all of this geothermal activity something to bear in mind is that it smells like rotten eggs due to the sulphur – not the best smell but you quickly get used to it! At the site there’s also a cafe, restrooms and a gift shop so you have the opportunity to refresh your energy levels. Our second stop of the day was at the Gullfoss Waterfall. This is an incredibly impressive waterfall that has 2 main drops and has a flow rate that makes it the highest volume waterfall in Europe. During our visit the frozen landscape and glaciers meant the water flow was ‘low’ which was crazy considering how much was still flowing over the falls. During the summer when there is snow and ice melt this is when the waterfall really starts to demonstrate its true power. At Gullfoss there’s a good sized facility where you will stop for lunch – in our case some vegetable soup and bread rolls followed by chocolate cake – perfect for a freezing cold day! From here you take an icy path to the falls (around 5 minutes) which has 2 lookout points. It’s quite exposed due to it being high up so expect it to be windy and if heading here in winter be sure to wear good waking shoes and wrap up warm! 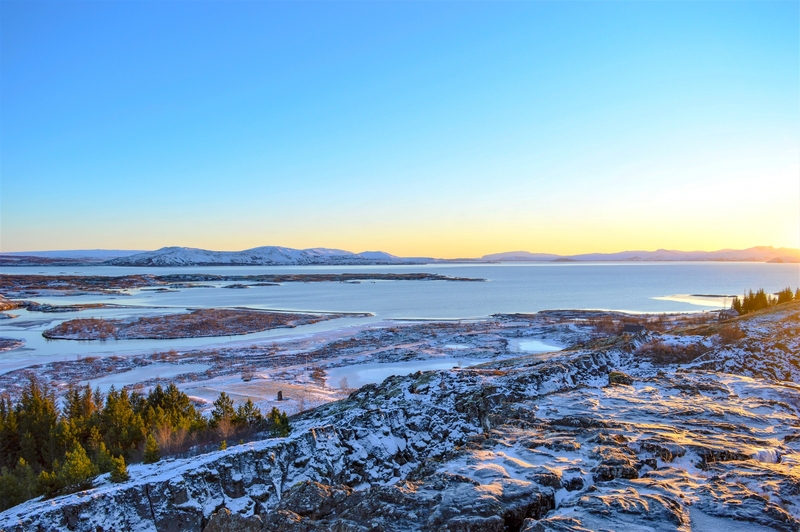 The final stop of the day was at Þingvellir (Thingvellir) National Park which is an incredibly impressive location where the North American plate meets the Eurasian plate. When you arrive at the site there’s a lookout point immediately off the car park offering incredible views across the landscape. I’ve seen some impressive outlooks in my time but this is one of those places where you really do have to take a breath. 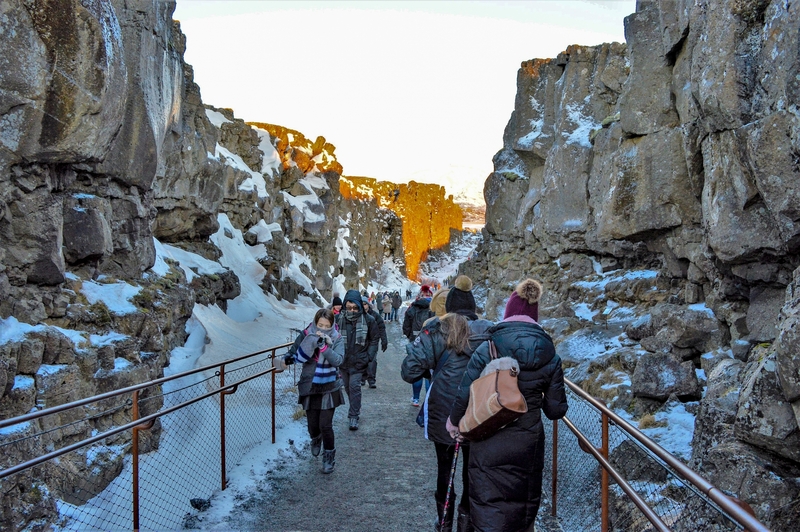 From the first viewpoint you walk down the path between the 2 tectonic plates which are pulling apart from each other. This is an amazing experience to know that you are walking along an active fault line! Once along the path a little way you reach a second viewpoint. 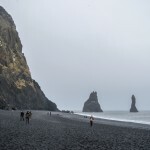 This location is of great significance to Iceland as it’s where the first parliament and thus the creation of the Icelandic nation was founded. 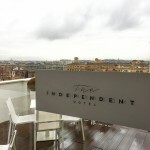 The views from here are equally as impressive with the river running through the landscape. As a final bit of interest if you’re a Game of Thrones fan you’ll also notice that this is one of their filming locations. With 3 stops complete this was the final stop of the day, driving around an hour or so back to Reykjavik to the drop off point returning at 16:30. 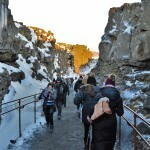 Overall I found the Golden Circle Tour a really enjoyable trip. Despite the weather giving us a bitingly cold -3 degrees C this didn’t take anything away from the sights and sounds of the tour. It’s not everyday that you get to see a geyser from a few feet away nor is it everyday that you get to stand on a tectonic plate boundary. 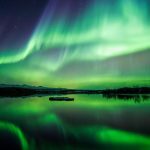 One of the biggest draws for heading to Iceland is to experience the natural landscapes and geology and this tour allows you to do exactly that. Don’t hesitate to book yourself onto this one, you won’t regret it! 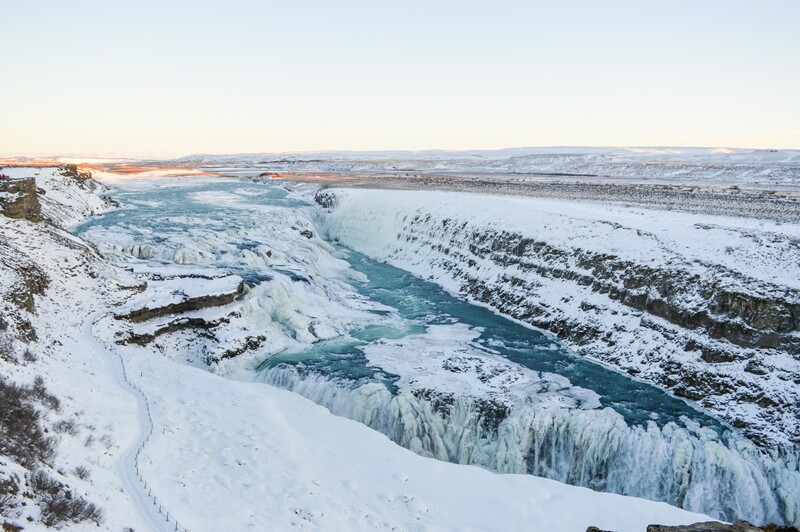 Have you been on the Golden Circle Tour or are you planning a trip here? Let us know in the comments!